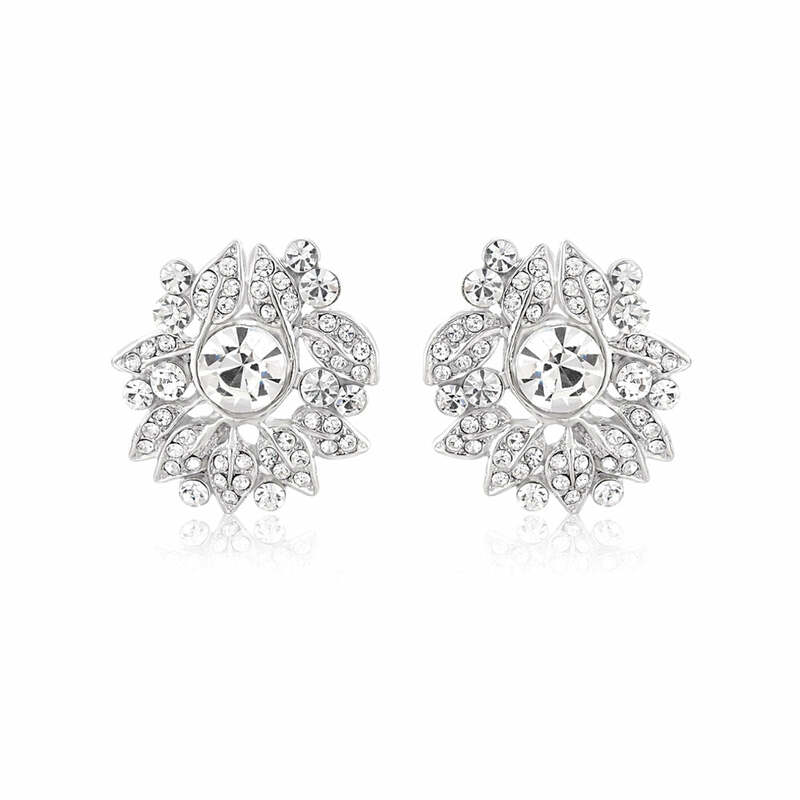 Unleash the silver screen starlet in you with these bejewelled 1940s inspired clip on earrings. Capturing the beauty and glamour of the Golden Age of Hollywood, Sparkling Starlet Clip On Earrings are inspired by 1940s vintage button earrings. Featuring an ornate design adorned with glittering clear Austrian crystals, these sparklers belong on an iconic Silver Screen Starlet. Oozing timeless style, they accessorize a classic LBD for a dinner date or, coordinated with Sparkling Starlet Necklace, these stunning crystal clip on earrings compliment a slinky evening gown with class. Beautiful wedding clip on earrings for brides who adore the sheer glamour of the 1940s wedding jewellery, they complete an antique inspired gown with grace and beauty. For show stopping glamour, coordinate with matching collar necklace. These are so beautiful and am so happy with them. I received them really quickly and in a beautiful box thank you!